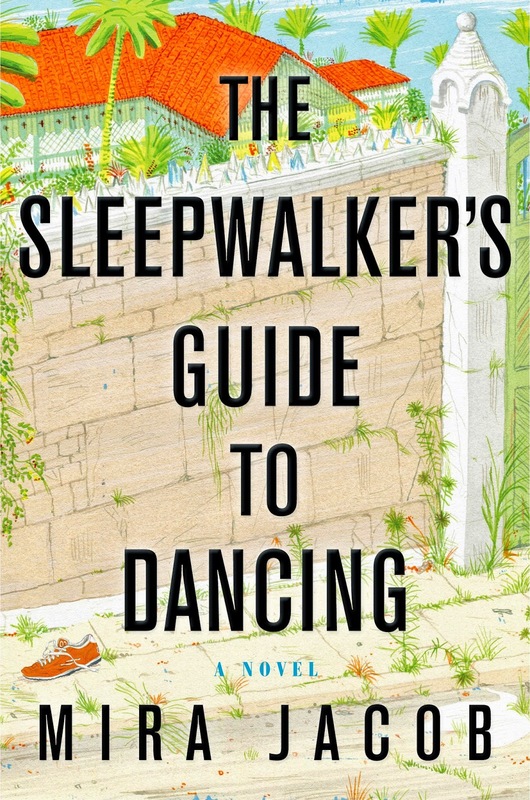 I loved the name "The Sleepwalkers Guide To Dancing" and just had to read this debut novel by Mira Jacob. The beautiful illustration and wonderful title are a great fit to Mira's lyrical prose and beautiful storytelling. She has been compared to Jhumpa Lahiri and other phenomenal writers. It comes as no surprise that her book is getting some wonderful reviews. She is the co-founder of the much-loved Pete’s Reading Series in Brooklyn, where she spent 13 years bringing literary fiction, non-fiction, and poetry to the city’s sweetest stage. 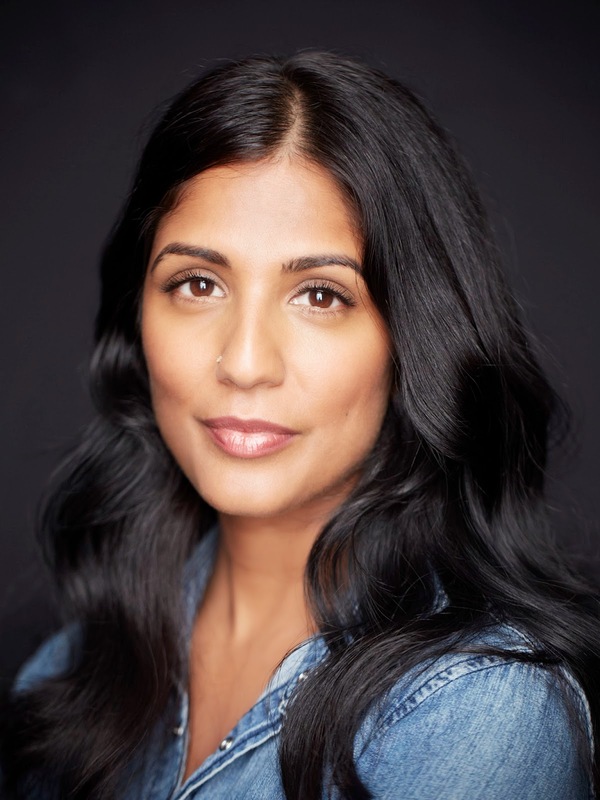 Previously, she directed editorial content for various websites, co-authored shoe impresario Kenneth Cole’s autobiography, and wrote VH-1’s Pop-Up Video. Her writing has been published in books, magazines, on television, and across the web. She has appeared on national and local television and radio, and has taught writing to students of all ages in New York, New Mexico, and Barcelona. Mira is in the midst of an aggressive book tour and was kind enough to answer a few questions for Suprose via email. What a fascinating title! How did you come up with it? The family in the center of the book is plagued by sleep disorders--a subconscious reaction to a lifetime of trying to fit into America. And at the same time, they had bigger dreams--things their bodies might have done and enjoyed had they been able to make themselves happier. So the title for me is a hopeful one. Your first novel, and it is getting wonderful coverage some rave reviews… What is your reaction? What do you attribute to it’s wonderful reception? The coverage and reviews have been overwhelming and surprising! I attribute it's wonderful reception to the dark arts I've practiced in my closet for years. No, but really, as any writer will tell you, so much of what gets noticed is being in the right place at the right time. I've written a story about identity and loss at a moment when a lot of people are wrestling with their own, so I think it resonates. How did this first novel come to be? Very slowly. I worked on it for 10 years while working corporate jobs and having a kid, so I wrote most of it from 11 pm to 1 am. What was the most challenging part about writing your first novel and getting it published? Letting go. The story isn't mine anymore, it's everyone's, and that a funny feeling after having it all to myself for 10 years. The toughest part about getting published, is acquiring an agent and getting a good publisher. How did you accomplish that? I was lucky enough to have been with my agent, Michelle Tessler, for 10 years --she represented earlier projects as well. In fact, she is the one who called me two years ago when I was laid off from my first job and screamed, "THIS IS THE BEST THING TO EVER HAPPEN TO YOU. STOP WORKING FOR IDIOTS WHO DON'T KNOW WHAT YOU'RE WORTH AND FINISH YOUR BOOK." Which is pretty much the nicest thing to have screamed at you, actually. And it worked. Instead of jumping immediately into another job, I gave myself exactly 3 months to finish the book. I told myself it was my last shot--I was 39, had a lot of bills and a kid and didn't want to be the kind of Mom who is always looking out the window for who she might have been. Anyway--long story short--I finished, we took it to market, and ended up with an auction. I chose Random House because they struck me as extremely passionate and dedicated--which has turned out to be true. Bunch of passionate people up in that place. What is it about family life that is so enticing to us writers? If I looked through your book bag right now, what would I find? Like, actual book bag? A bag of books? I love that whole idea but the only thing I carry around is snacks for my kid and things to keep my biking habit intact. My nightstand, on the other hand, is piled high with goodness. I have just started Ted Thompson's (so far excellent) Land of Steady Habits, and am slowly my way through Richard Rhodes (also excellent, but harder for me to parse) The Making of the Bomb. Which writers would you consider to be your muses? Toni Morrison, Sherman Alexi, Zadie Smith, Antonya Nelson, John Irving, Junot Diaz, Joy Harjo. Who are some South Asian writers you go to for comfort and reassurance? I don't. I go to South Asian writers to be blown away by ingenuity and acumen. Tell us about Pete’s Reading Series, its inception and what it is about? Do you continue to work there? I started Pete's Reading Series with writer Alison Hart in 1999 as a way of giving writers (whose lives, let's face it, are usually a lot less than glamourous) a nice night, and a moment of celebration. When we started, we usually paired one well-known author with someone either unknown or under-recognized, to expose them to a larger audience. Alison and I passed the series on to writers Lindsay Hood and Jillian Capewell last year, and they've been knocking it out of the park ever since. Have you dabbled in any other kinds of writing besides Sleepwalkers? Where else have you published? I've worked professionally as a writer for 20 years, so my writing has been published in books, magazines, television shows, and online. 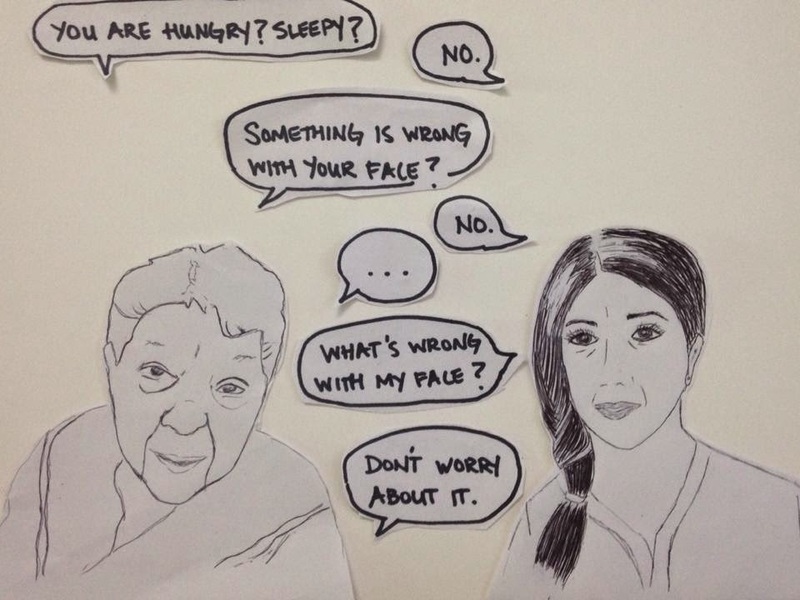 Graphic novel or memoir. 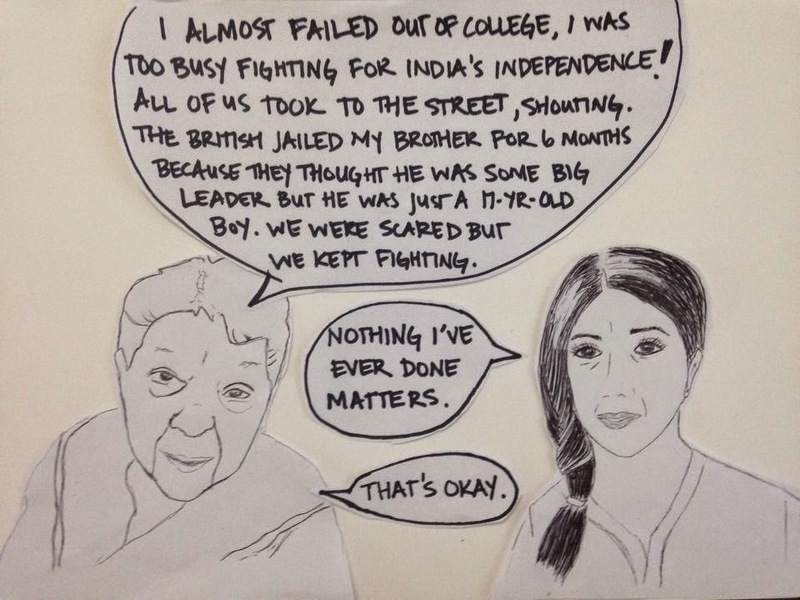 For example, this conversation with my grandmother, which I drew on my last visit to India in April.